Stream was amongst the winners announced at the inaugural Great British Fleet Awards, which recognises excellence across the fleet industry. 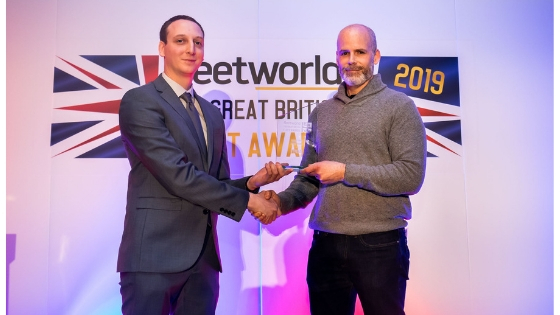 Held at the London Novotel West, the prestigious awards celebrated the achievements of individual fleet managers, plus software providers, suppliers and vehicle manufacturers. Stream Go’s electric vehicle route optimisation feature was awarded the coveted ‘Innovation in Green Travel’ winner. LeasePlan UK was highly commended in the category. Other companies winning awards included Europcar, the RAC, Allstar, Ford, Renault, McLaren, Addison Lee and Galliford Try. Ever lower day-to-day running and maintenance costs, and reduced overall life cycle costs of electric fleets. Released last year, Stream Go for electric fleets makes it easy for businesses to optimise first and last mile deliveries and collections using alternative fuel vehicles. Stream Go for electric vehicle route optimisation enables transport planners to quickly and easily plan delivery, collection or service routes that take the range of electric vehicles into account, so vehicles can complete their route with time to get back to the depot for recharging. Stream has won a number of awards since 2015 – and has been shortlisted in a host of others. Learn more about our other awards. Stream Go for electric vehicles is an extension of Stream Go’s intelligent logistics planning and route optimisation feature. With Stream, fleet operators are able to quickly and easily add electric vehicles to their fleet, taking advantage of the financial, environmental and social responsibility benefits, whilst keeping operations running smoothly.